Fast zoom out from the CBD of Randburg on the top of Northcliff Hill (AKA Aasvoëls Kop) on a Highveld afternoon in summer. The Magaliesberg mountains can be seen in the distance on this clear day. sd00:16Slow zoom out from the CBD of Randburg on the top of Northcliff Hill (also known as Aasvoëls Kop) on a Highveld afternoon in summer. 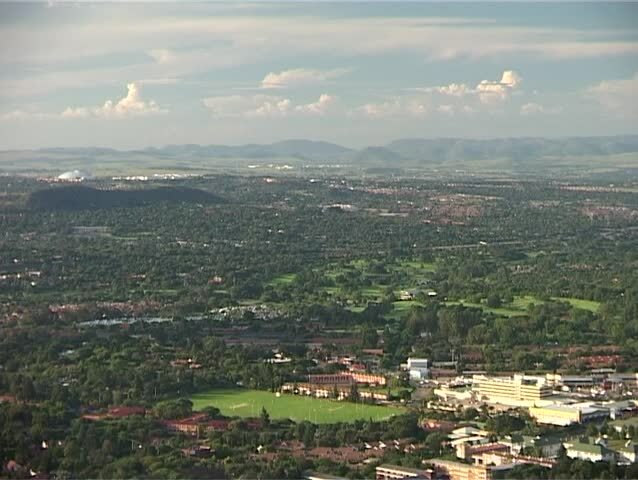 The range of Magaliesberg mountains can be seen in the distance. 4k00:15Cine D, Historic Old English Town, Church, Castle, Park And Lake. Houses, Countryside Aerial View Kenilworth.